For the first time, local and regional governments from four world regions gathered at the United National Environment Assembly (UNEA) through an official Cities and Regions Summit, providing the formal inputs of the local and regional governments constituency to the Member-States environmental policy discussions. 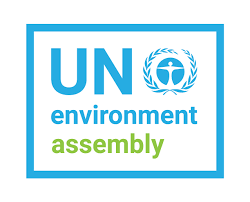 The UN Environment Assembly is a Member-States Assembly convened by the UN Environment Programme that meets every two years to set priorities for global environmental policies. The fourth session of the UN Environment Assembly (UNEA-4) took place from 11-15 March 2019 at the UN Complex in Nairobi focusing on innovative solutions for environmental challenges and Sustainable Consumption and Production. Through the involvement of the networks of the Global Taskforce including UCLG, ICLEI, nrg4sd, ORU-FOGAR and of the particular collaboration of Cities Alliance, CEMR, Climate Chance and the Global Covenant of Mayors, the first edition of the Cities Summit demonstrated the potential and role of local governments in shifting towards a new model of sustainable consumption and production, through multilevel and integrated urban systems. Organised by UNEP in close collaboration with the Global Taskforce, the first Cities Summit gathered 300 delegates including 40 cities and regions, high profile representatives from national governments from Germany, Ecuador, Chile, Argentina, Kenya, Mongolia and key partners of the constituency from the corporate sector and development banks. 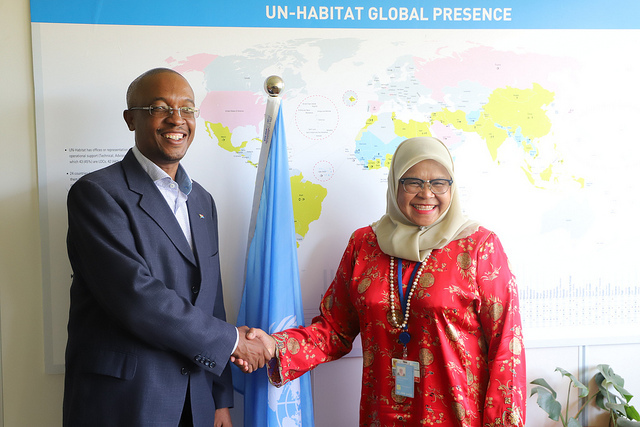 Mpho Parks Tau, UCLG President, opened the Cities and Regions Summit together with Joyce Musya, Acting Executive Director of UNEP and Maimunah Mohd Sharif, UN-Habitat Executive Director. “Localization of sustainable development can't be a top down process. Local actors need to take the lead towards ecological transition. This will be crucial to facilitate a more direct access for LRGs to funding from national budgets and typically national-level funders". Parks Tau reaffirmed the central role of local and regional governments as guardians of the global development agendas. The Cities Summit provided the opportunity for high level dialogues between local and regional elected officials and national governments representatives on innovative solutions to achieve liveable, inclusive, and sustainable cities – working across sectors and across all levels of government. The Summit showcased success stories on innovation for sustainable consumption and production in cities, under the focus of localizing SDGs, creating more integrated urban systems, and implementing ecological transition in the context of the New Urban Agenda. According to the recent IPCC special report, restricting climate change to 1.5°C would need “rapid and far-reaching” changes around energy use, industry and buildings design, as well as the wider planning of cities and infrastructure. The integration of urban systems across sectors, cities and regions confirmed that it is possible to achieve significantly higher resource savings than by taking siloed, sectoral approaches, according to the International Resource Panel recent publication “Weight of Cities” and can help facilitate transitions to circular economies. These savings are in the order of 30 - 60 percent and can be realized by leveraging connections, interactions, and resource sharing across multiple urban systems. Mohamed Sefiani, Mayor of Chefchaouen, made it clear that a strategic approach to the integration of local governments in the operations of international funding mechanisms such as the Green Climate Fund should be considered and addressed through adapted allocation criteria to financing from multilateral and bilateral development banks. Thanks to the presence of the Mayor of Katowice, Marcin Krupa, host of the last COP24 climate negotiations, the Cities and Regions Summit kick-started a process to develop partnerships and commitments to collaborate on a new work area implementing integrated urban infrastructure solutions. Keep an eye out for more announcements regarding this initiative at future global milestone events, such as the International Conference on Climate Action, the UN Secretary General’s Climate Summit and COP25. In a Joint Statement by the Local Authorities Major Group, delivered by ICLEI, the Global Taskforce reiterated their collaboration towards UN Environment and the UNEA Delegations in order to connect sustainable, integrated, urban and territorial development into the environment agenda. The Global Taskforce further expressed its confidence in the results of a holistic and multilevel collaboration that will inspire citizens give confidence and hope to the citizens across nations in the notion that sustainable cities and regions are the custodians for wellbeing of all humans and the Planet. This joint statement further celebrated the first Cities Summit, a true statement to the role that local and regional governments are playing in the environment agenda and towards achieving the 1,5º goal. 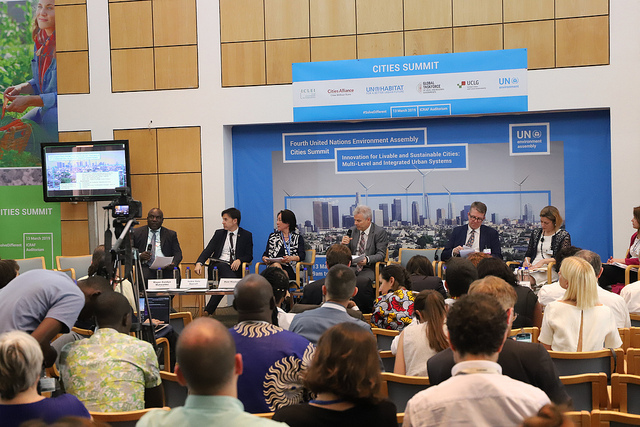 The first UNEA Cities and Regions Summit Outcome Document provided concrete recommendations on action for local, regional and national levels contained in the Final Outcome Document. The Outcome Document pays particular attention to the issues of multilevel governance coordination and local sustainable financing of urban systems. It recalls that local governments should be included in nation-to-nation dialogues and that their access to funding streams from national budgets should be facilitated. The Outcome Document specifically mentions that national governments need to support cities for them to successfully achieve national objectives in respect to the principle of subsidiarity. Therefore, the contribution of local policies to national goals needs to be supported with adequate competences and resources; their implementation needs to be monitored, and their impact, quantified. It further calls for rural-urban systems to be planned as one entity, considering interdependency between rural and urban spaces and systems, and environment and human well-being. 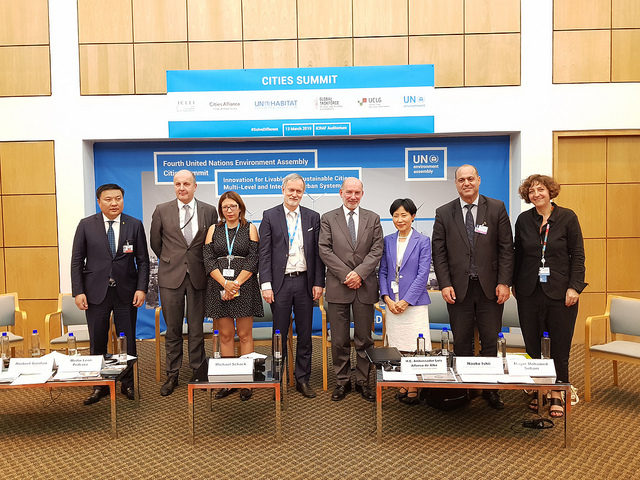 The Global Taskforce of Local and Regional Governments will continue working on establishing the Cities Summit as a critical component of future UN Environment Assemblies to continue highlighting the importance of localizing the SDGs and allow for engagement of sub-national leaders into the global environmental policy decision-making.